For history buffs, archeologically interested people and for the curious souls, the Casa De La Fortuna or the House of Fortune is a must visit. 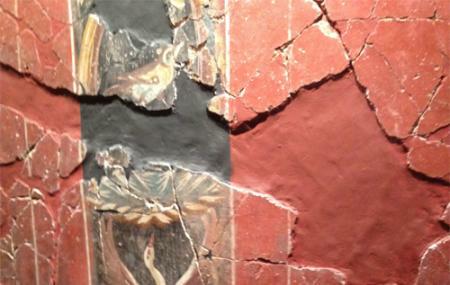 Buried under the streets of the city, the House of Fortune is a Roman era villa. Its construction is dated back to the 1st century BC. The structure of the house along with the area it occupies points to the fact that some wealthy family used to stay there. Thus the name. The house museum offers detailed insight into the domestic life of the Roman period. Adults: €2.50 , Free entry for kids under 3 years. How popular is House Of Fortune Museum? People normally club together Fuente De La Alameda and Museo De La Muralla Punica while planning their visit to House Of Fortune Museum. This was a small but interesting underground place to visit for 30 minutes or so. There is an audio guide as well as signage in English. The lighting could have been a bit brighter I think to really appreciate the layout of the house. It's such a shame to understand that such fabulous Roman riches were there and yet were just ripped out or simply covered up to build office blocks etc all over the city. We don't realise how important things are until they are gone. The cost was 3.50 euro each. For the price you get what you pay for. There's a little bit to see and some good informational details within the Fortune House. There are a few good murals to see too but by no means will it blow your mind. Most of the remains are quite degraded. The informational video 2/5. Loved this place. The guide was helpful and her english certainly good enough to complement the descriptive boards that give plenty of information. An intimate view of real Roman life.